Biblical themes run through Magnolia as well, though not in a way that is flattering or preachy. More impressive, though, is the bible of cinematic knowledge at Anderson’s disposal. He directs the living hell out of this movie with a style writ from the annals of American film yet somehow distinct. He throws everything at you here- false prophets (Tom Cruise), gold diggers (Julianne Moore), former child stars (Willam H. Macy). There are more stories too, among them that of the caring nurse (Philip Seymour Hoffman) of the dying patriarch (Jason Robards), a dying game show host (Philip Baker Hall) and a young contestant on that show (Jeremy Blackman), and a love story between a junkie (Melora Walters) and a cop (John C. Reilly). Together, you’ve got a veritable smorgasbord of narrative and character types. Crash was a kind of mainstreaming of this concept; a Best Picture winner that large American audiences felt good getting behind because of the social message presented with volatile yet controlled bursts of emotion. Magnolia runs rampant with narrative concept within its three hours, forcing the audience to make a connection instead of forcing a connection. To Anderson’s credit, all of the characters in Magnolia are at least interesting, something you didn’t get in other movies with this concept. The actors are all perfect, too. William H. Macy evokes tragedy in pools of emotion as Donnie Smith, a sad gay man who was once a champion on a game show as a kid and is now trying to get a bartender at some dive to fall in love with him. 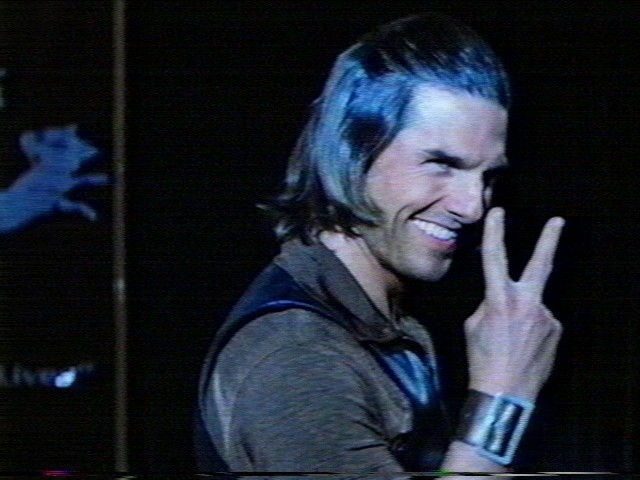 Tom Cruise is repulsive in all the right ways as Frank Mackey, a misogynist with a 10-step program to get assholes laid. It’s perhaps the riskiest performance of Cruise’s career, and he nails it. 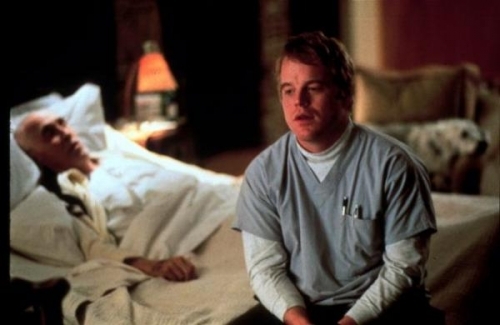 Julianne Moore and Philip Seymour Hoffman also give memorable turns, but the smaller names in Magnolia also stick out. Jeremy Blackman is terrific as the young prodigy plowing his otherwise dimwitted team to victory on a game show. Melora Walters is also great as a junkie trying desperately to hold on to some imitation of life. Jason Robards gives perhaps the film’s saddest performance, fully embodying a dying old man looking back at his life with regret and unbearable sadness. “It’s not what you thought when you first began it,” the song says, and from here on out is where Magnolia lost some critics by embodying that lyric. The subtlety Anderson favors up until this point is virtually thrown out the window in favor of an attempted thematic beat-down. Whether he is successful or not depends on whether you can follow him through the rabbit hole to a world of raining frogs and perdition. The characters of Magnolia need their solace and protection in this San Fernando Valley of California darkness, whether it be a gun, drugs, or an idiotic self-help seminar. They’ll all lose their safety net and find themselves, which is the only big commonality all of these characters share. This entry was posted in Reviews and tagged 1999, 90s movies, Babel, Biblical themes, Complex characters, Crash, Great movies from the 90s, Interweaving character movies, John C Rilley, Julianne Moore, Magnolia, Oscar nominees, Paul Thomas Anderson, Philip Seymour Hoffman, Phillip Seymour Hoffman, Requiem for a Dream, There Will Be Blood, There Will Be Blood Best Movie of Decade, Tom Cruise, Traffic, William H. Macy by matterspamer. Bookmark the permalink.